Plainfield, IN - Lets Race Two has presented less than the desired results for Chad Boespflug since picking up his first career Eldora Speedway Win in the inaugural event in 2016. This two day show hosted on one of the largest stages in sprint car racing has been a struggle for Boespflug in the most recent visit to the "Big E". Night 1 saw a top 5 qualifying run before trailing backwards in the feature event. A setup mistake cost Boespflug and his NineEight Motorsports Team a potential top 10 finish. Night 2 showed consistency, but not the results Boespflug wanted. The NineEight Motorsports #98 ran mid pack most of the race finishing 12th in the AMain. 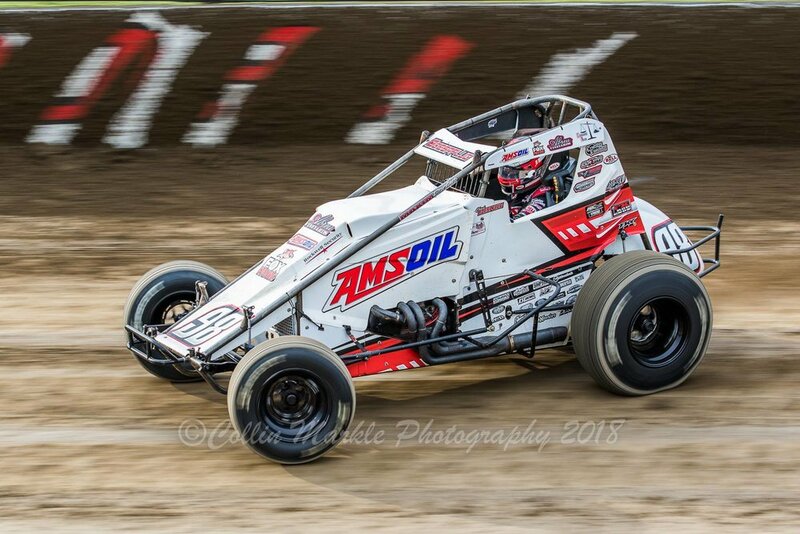 A new week and a pair of new venues for Boespflug as the AMSOIL USAC National Sprint Car Series heads west for the "River Town Showdown" presented by BRANDT. The series is set to debut at a pair of tracks bordering the Mississippi River this Friday and Saturday. Friday will mark the return appearance to the state of Illinois for USAC, a state the series has not visited in over a decade, at Tri-City Speedway in Pontoon Beach, IL. Teams will then travel south about an hour where they will visit I-55 Federated Auto Raceway in Pevely, MO Saturday. The two day River Town Showdown will be a fresh start for Boespflug and his team as they enter the weekend on level playing fields as their fellow national competitors have not visited either facility in a non wing sprint car. The River Town Showdown can be viewed LIVE via PPV as SpeedShiftTV will provide coverage.